The day dazzles bitter, but we’re in the forest with numb hands and life-goals to climb. Overhead the light casts a brilliant white as rock edges sharpen and the landscape intensifies. We wait on edge for a climber to rise up top. Cheers of encouragement, chalk and barehanded crimps work across boulders until he's a mere move away. With a thud — a sudden winded fall puts pay to glory. Just as swift he’s up and at it again, hands scaling higher. Climbing in Font might look like play but it takes fierce focus. On our wall at home hangs a poster of the forest — a present from climbing friends marking a place they cherish dearly. Year on year for the last two decades they’ve descended hundreds of miles to this ‘magic forest’ outside Paris, returning with life-changing stories of victory and failure. The pilgrimage has drawn climbers across the world to boulder here since the ‘90’s — prior to which it was known among French mountaineers prepping for Alpine excursions. Fontainebleau inspires sheer devotion, and it's a magnetism and energy that most places would kill for. It doesn't stop at climbers. Business guru Sumantra Ghoshal delivered his most enduring speech to the World Economic Forum on 'the smell of the place,' describing a walk through this forest and how corporations should create cultures that smell like Fontainebleau in spring rather than his native Calcutta in summer. Fascinated by the intensity of the experience in Fontainebleau, I trail a group of bouldering devotees on a winter's trip. Why does the forest have such mythical draw? How does the action make meaning of the landscape? And what can other places learn from it? Without breaking the spell, what is Fontainebleau's magic touch? The forest invites twists and turns in, out and up onto boulders. Discrete symbols painted onto stone guide us. Elsewhere this would be considered defacing the rock, but at Font it’s part of the tradition and a distinct graphic symbolism. “There was only one guidebook when we started out in the 90’s, and it was in French,” notes James, who started climbing here in his late teens. Exploring on the ground became par for the course. While these visual clues train the eye to hunt down problems, it's the sensory discovery that's uniquely intimate. Climbers touch and get to understand a place with bare hands, creating a relationship with the terrain that's unmatched. As they ascend, they're cheek to cheek with the rockface — close enough to smell and even taste its minerality. They measure a boulder up in relation to their own reach, in doing so exploring how their body relates to and becomes part of the landscape around that surrounds it. The eye is the organ of distance and separation, whereas touch is the sense of nearness, intimacy and affection. Font has lines that will last as long as climbing exists. These are the lines you surrender and swear to, you give and give again for. Those that keep you mindful, humble, open, inquisitive and focused. These are lines that are selected like a university or religion. Fontainebleau offers perhaps a higher concentration of different types of boulder problems than anywhere else on the planet. It's a paradise of natural play. But as we walk from area to area change is underfoot: The shift from flaxen sand to pine needles to rust bracken, from bright open light to shaded tree canopies. In storytelling terms this becomes a change of scene, and the variety of character areas mean that the contrasts in pace here aren’t simply aesthetic but also experiential. It’s as if Font has set different stages for climbs, experiences and stories to be played out, the setting bookmarking each mental chapter in a multi-day excursion. A white horse gallops through the frozen landscape at Cul de Chien — does it get any more magic? Never underestimate aesthetics. Vivid colours, distinct patterns, and rich textures create a beautiful backdrop that has been captured by artists for centuries. It’s the combination of weird and wonderful characteristics that give Font this captivating and otherworldly quality. Myths and questions arise about its origins — a desire to know why it appears the way it does. The fine white sand feels more Caribbean than Northern European, a legacy of the place's past among ancient seas. 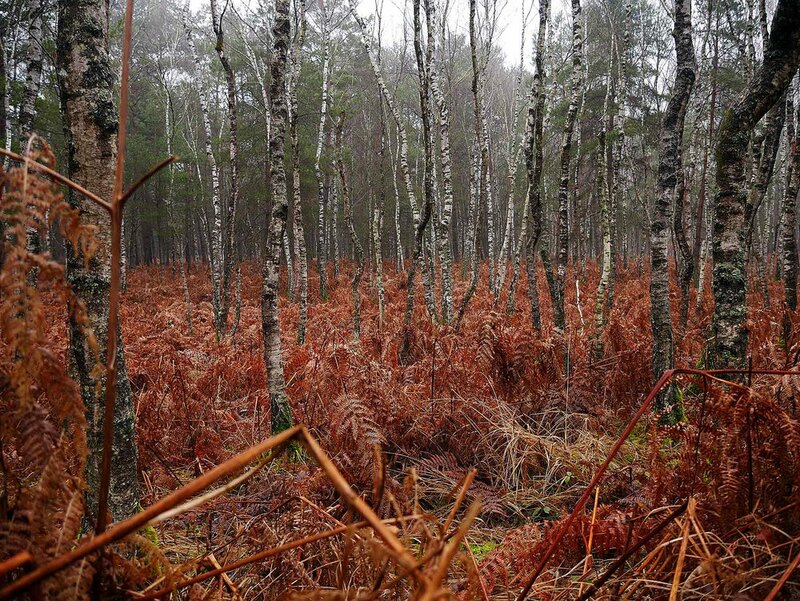 Dense slivers of birch and pine are inherited from the forest's roots as a royal hunting ground. And the elephantine boulders of which climbers are so fond? Are they merely remnants of erosion or do they hold a more mystical story? Each strand of the forest's story is interpreted through a different feature more often found in far flung landscapes. It's this curious combination of not knowing why they're here that makes the place so spellbinding. We need...to keep enchantment alive in our descriptions of nature: to provide celebrations of not quite knowing, of wonder, of mystification. See someone throwing shapes in thin air, and they're probably a climber going through their mind's motions. 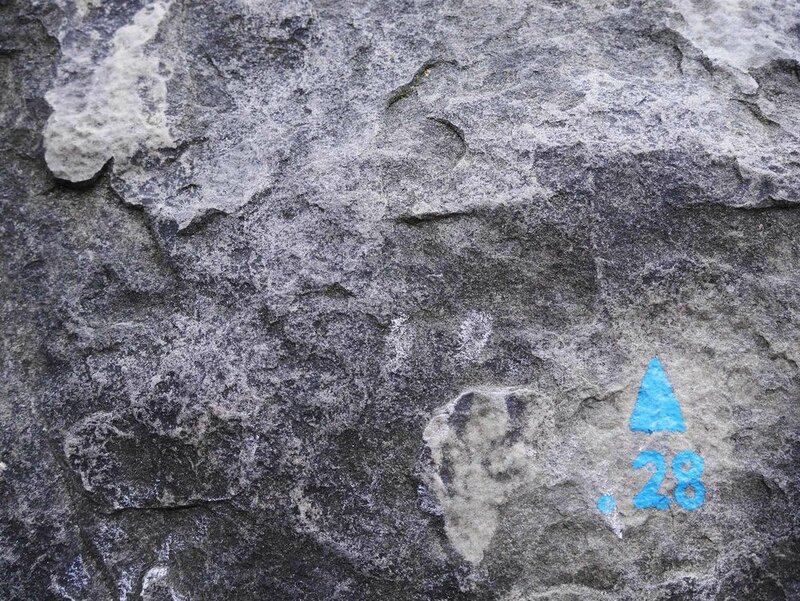 Climbers have an enviable ability to remember the details of a line or a problem years after the ascent. Memory is made through physical motion — heel hooks, crimps, traverses, slopers — and bloody-minded repetition — the try-fail-try-fail rote of climbing. It's an exacting eye which can recall such a super-located place, and attach to it emotions. Rock becomes nemesis or ally. The bouldering at Font is somewhat technical, and perhaps because of the intense focus this requires, those memories stick more than most. Add to that the social aspect that means you 'live' with those climbs: a supporting crew who spot, cajole, and experience your life's rise and fall right beside you. One can really live with these climbs. It’s a pleasure to have such projects to pursue for their own sake—lines that mean something, lines that need no explanation, life-goal climbs. "Did you achieve everything you wanted to in Font?